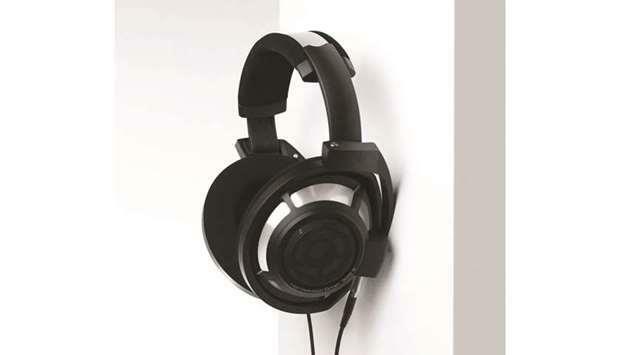 (MENAFN - Gulf Times) Fifty One East, Qatar's leading department store, and Sennheiser, one of the world's leading manufacturers of headphones, microphones and wireless transmission systems, have introduced the innovative HD 800 S, a stylish and enhanced version of the multi-award winning HD 800 to music lovers in Qatar. The latest Sennheisser's HD 800 S, is now available exclusively at FNAC in Doha Festival City, according to a statement issued yesterday. A modern classic, Sennheiser's reference class HD 800 headphones deliver sound that is as natural as possible and true in every detail. Improving on a seemingly perfect formula is not a task undertaken lightly, but Sennheiser's engineers have succeeded in enhancing further the sound reproduction in the open, circumaural HD 800 S.
Sennheiser's HD 800 S brings improved sound quality and a new matt black look to the earcanal headphone that brought audiophile sound to a compact in-ear design. The enhanced sound reproduction of the HD 800 S is achieved through the addition of the innovative absorber technology that was pioneered in the Sennheiser IE 800 a breakthrough that preserved the audibility of very high frequency sounds by eliminating a phenomenon known as the 'masking effect, where the human ear struggles to hear frequencies of sound when lower frequencies of a higher volume occur at the same time. Sennheiser uses the highest quality material which was a key element in the making of IE 800, the world's best sounding in-ear headphone, and in bringing greater purity and sound precision to the HD 800 S. The new headphone offers more connectivity options and is supplied with two connection leads, a 6.3mm connector and a XLR-4 balanced that ensures top notch sound quality.